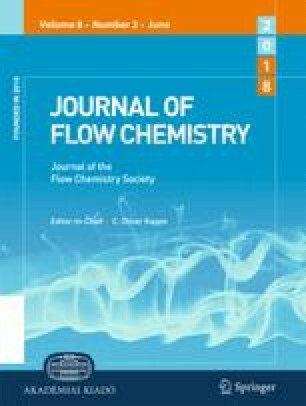 Additively manufactured catalytic static mixers were used for the intensified reductive amination of aldehydes and ketones inside a continuous flow reactor. 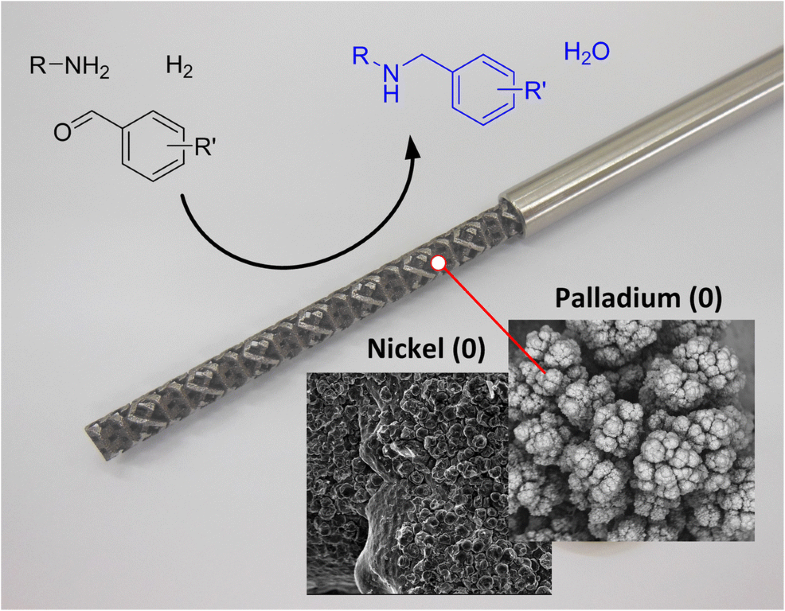 This efficient synthesis method is enabled by the use of tubular reactors fitted with 3D printed metal static mixers which are coated with a catalytically active layer, either Pd or Ni. The 3D printing process allows for maximum design flexibility for the mixer scaffold and is compatible with a range of deposition methods including electroplating and metal cold spraying. Single- and multi-stage continuous flow processing yielded high to full conversion and has the potential to scale-up these operations without the need for manual handling of reactive imine intermediates. The online version of this article ( https://doi.org/10.1007/s41981-018-0013-6) contains supplementary material, which is available to authorized users. The authors thank Winston Liew for ICP-OES measurements, Andrew Urban for cold-spraying of the nickel catalyst, Darren Fraser for 3D printing of the mixer substrates, John Tsanaktsidis, Oliver Hutt and Dayalan Gunasegaram for many helpful discussions and the Active Integrated Matter (AIM) Future Science Platform for financial support for Charlotte Genet.